PLEASE NOTE: Washington Street will be closed to all motor vehicle traffic on April 15th for the Boston Marathon from 8am-6pm. Please follow the map below for directions or please call 617.243.5315. 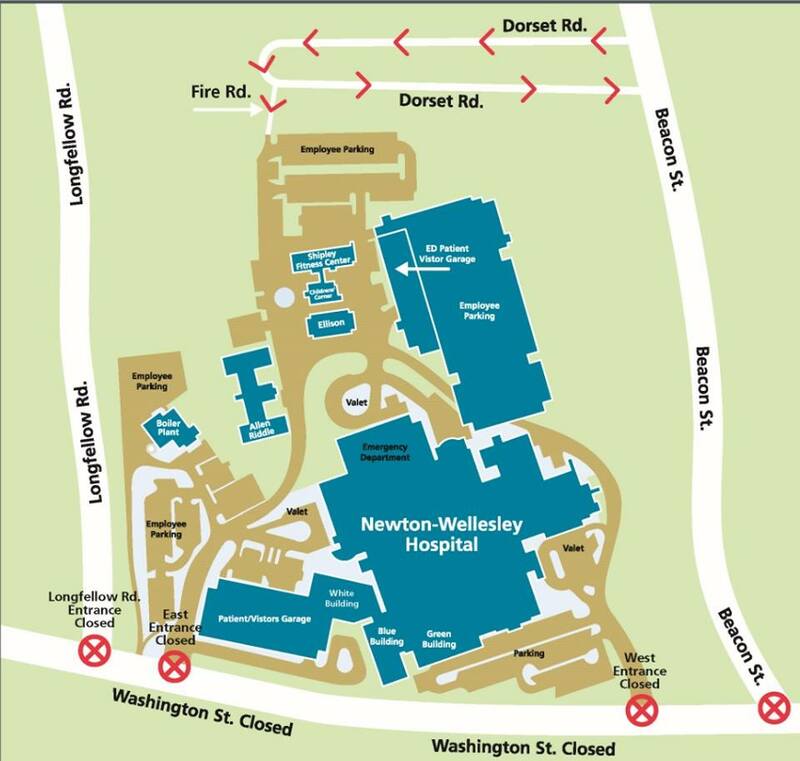 Welcome to Newton-Wellesley Hospital and thank you for choosing us for your health care. Whether you are a patient or visitor, our goal is to make you feel comfortable and well cared for. Find the information you need to make your visit go smoothly - whether you are here visiting a family member or friend, seeing a doctor for an office visit, or an inpatient stay.